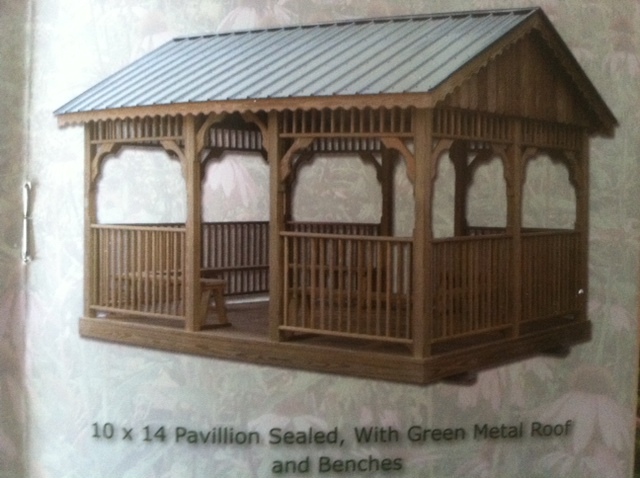 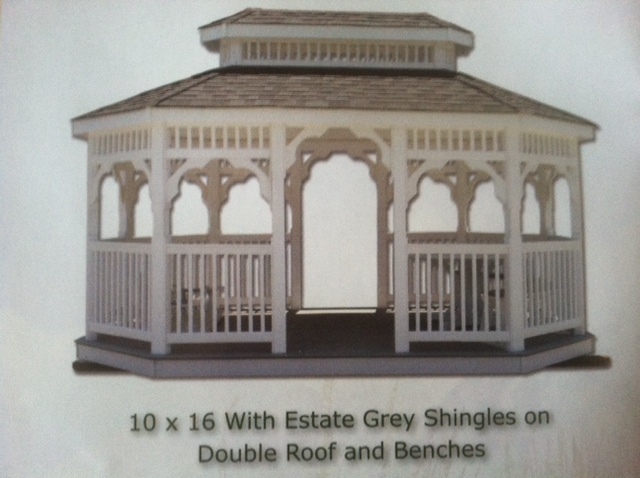 Shedsnashville.com offers the finest handcrafted Gazebos around. 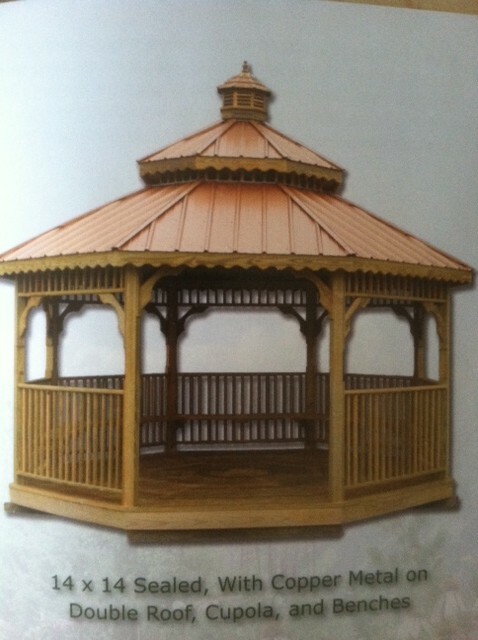 Our Gazebos come in both wood and vinyl construction. 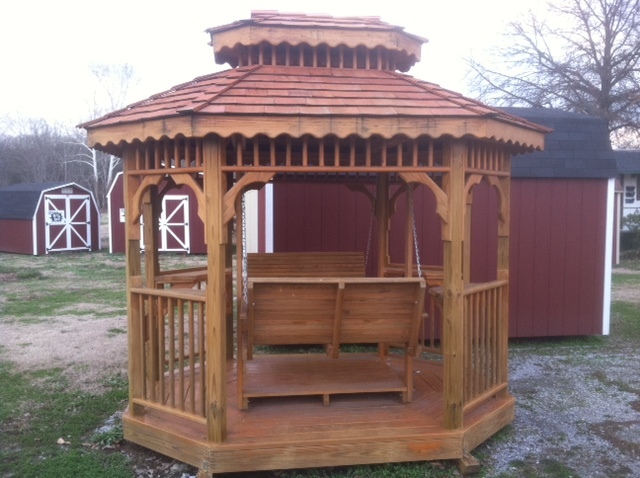 Sheds Nashville Gazebos are handcrafted and come in many different styles – Octagon, Oblong, Rectangle, Gable Pavillion, and Tea Houses. 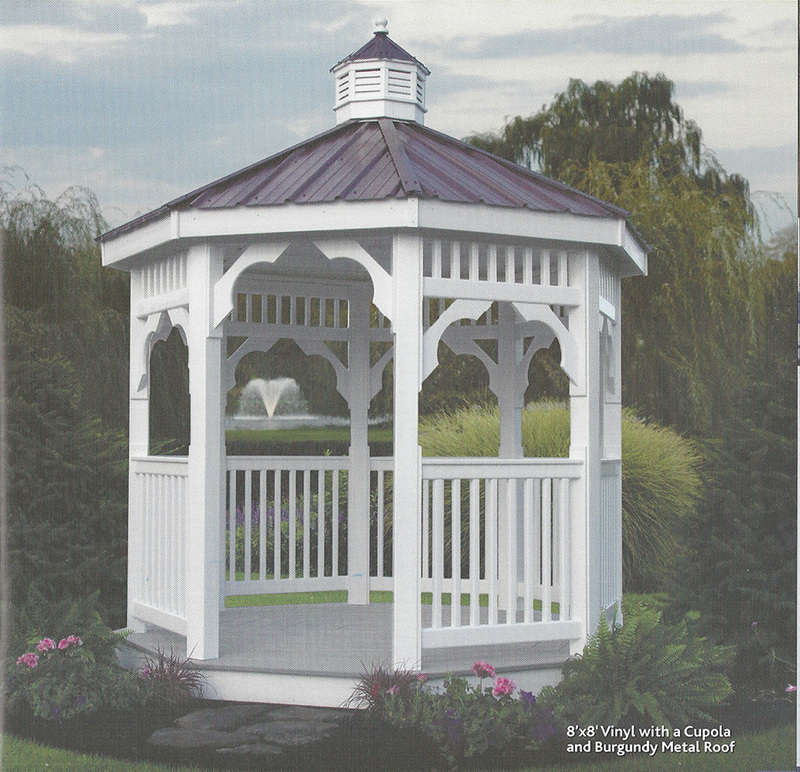 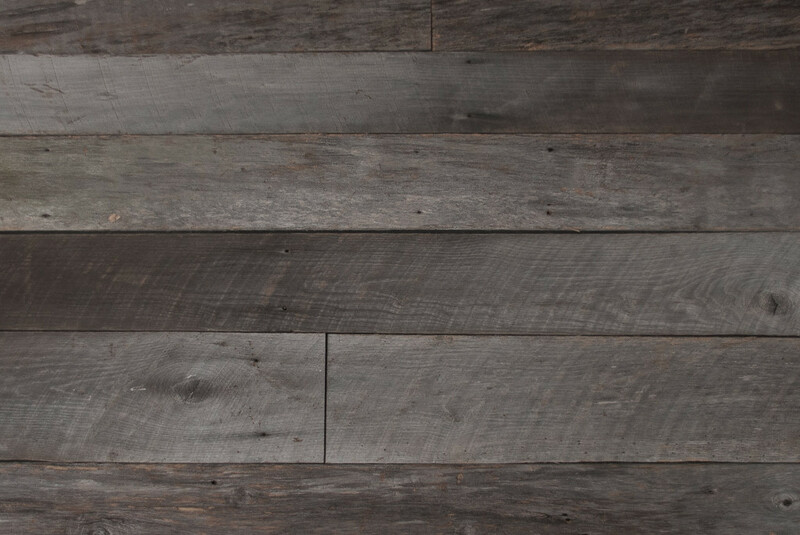 We offer many optional features like – benches, swings, gliders, colonial rails, tables, screen panels, and much more! 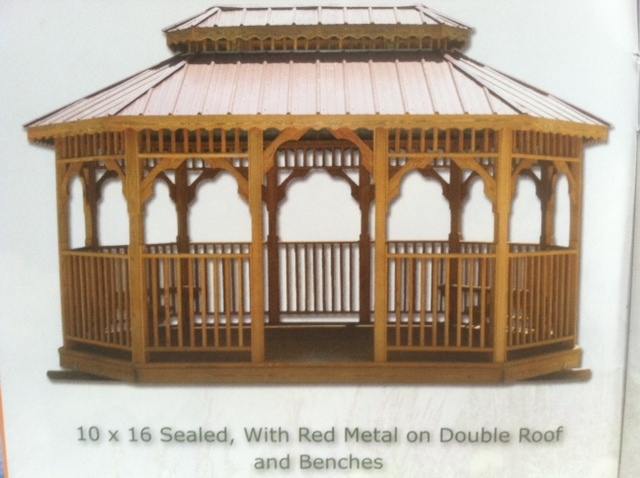 Check out our beautiful gazebos below.